This week is full of plays and musicals! 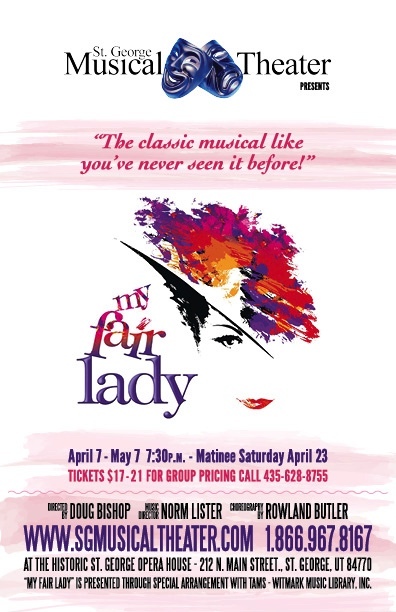 My Fair Lady by St. George Musical Theater opens on Thursday! They have 2 for one pricing for opening weekend! This is for April 7th, 8th and 9th performances! St. George Musical Theater always does a great job. I am going tomorrow, and I can't wait. I love this play.